Besseggen is one of Norway’s most famous mountain hikes, and each year around 30,000 tourists enjoy the breathtaking view from the top of the ridge. Here you’ll find important information and advice to prepare you for the hike. The hike over Besseggen takes six to eight hours including breaks and is recommended for experienced hikers. The ridge is both windy and steep, so this is the first time you are hiking in the mountains, it might be a good idea to choose an easier alternative. To ensure that your mountain hike will be a good experience, it is important to prepare yourself before you start. We recommend that you have at least two days at your disposal to increase the chances of nice weather.
. Use hiking boots and leave your trainers at your base. There may be occasional strong gusts at Besseggen, so please wear wind and waterproof outerwear. Always pack an extra set of clothes, including a cap, a scarf, and gloves or mittens. 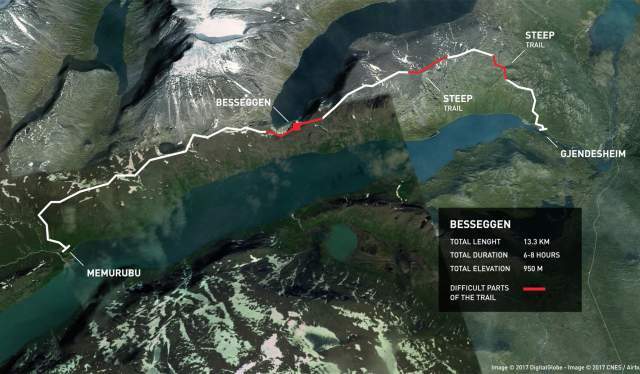 There are two options for getting to Besseggen. You can either start hiking from the Gjendesheim tourist lodge or take the boat from Gjendesheim to Memurubu and start your hike from there. The latter is the easiest route, as you’re going uphill. To ensure you’ll get on the boat, you should reserve tickets in advance. You can stay overnight at both Gjendesheim and Memurubu and start the day fresh and fit the next morning. There are many other hikes around Besseggen and in the nearby areas, including easier options. 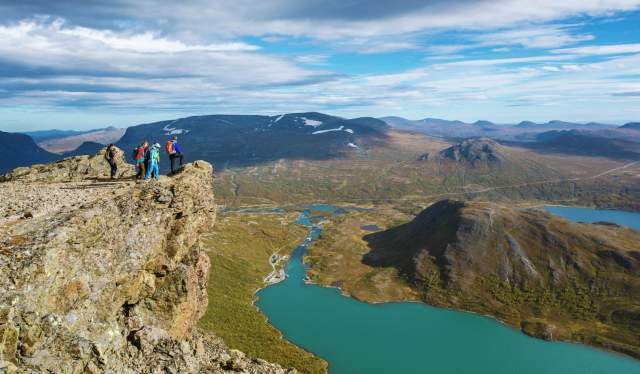 Check out other hiking alternatives in the Besseggen area.